Dainty, chic and attractive, this amazing and striking piece of superior craftsmanship is a most beautiful and unique manner of presenting your pieces of jewelry! 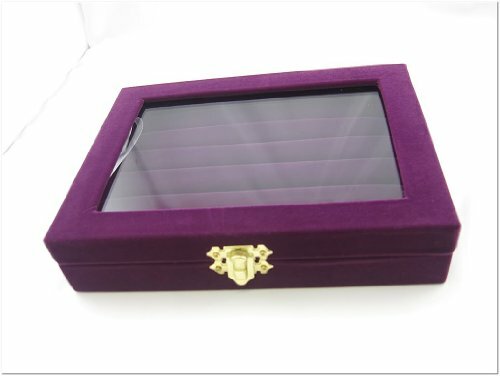 The product has been constructed out of high quality crystals; it is shaped like a jewelry tray, featuring a pole in the middle. 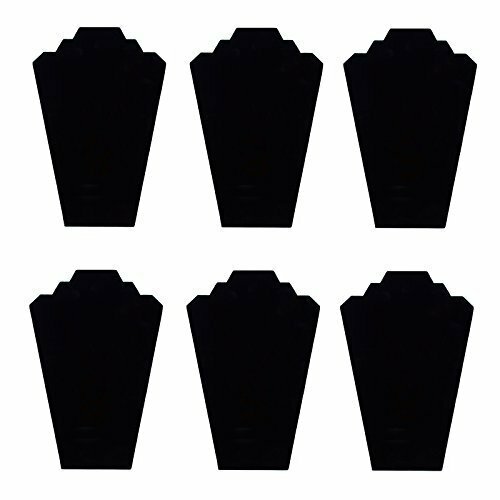 It comes in two designs: a beautiful and simplistic lined design and an intricate and attractive scalloped design as well. The tray is completely see-through, which makes it even more appealing. 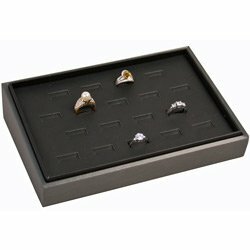 The pole in the middle of the tray is perfect for safekeeping and displaying all sorts of rings, even the most precious rings – the wedding rings! 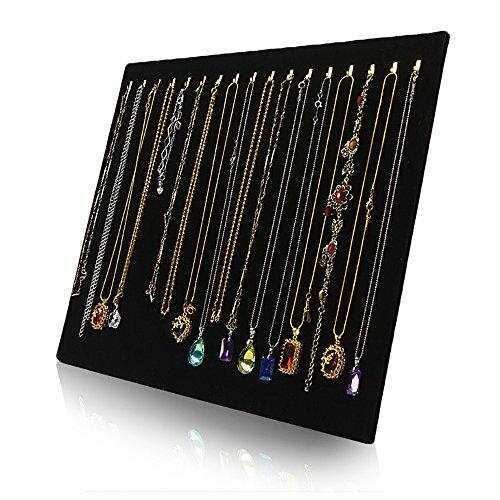 The tray itself is also very suitable for exhibiting jewelry products, from brooches and rings to necklaces and all kinds of other trinkets and accessories! 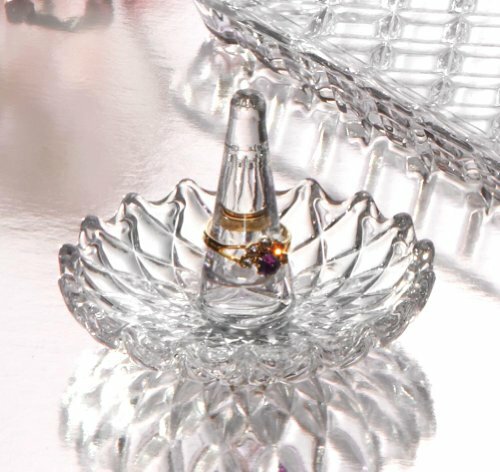 Moreover, the product is very easy to maneuver and to clean as well; you will be able to place it anywhere in your jewelry shop or at home without taking up any valuable space whatsoever! It is a wonderful manner of displaying your most significant pieces of jewelry before anyone else and it was especially created to offer a professional and satisfactory job! 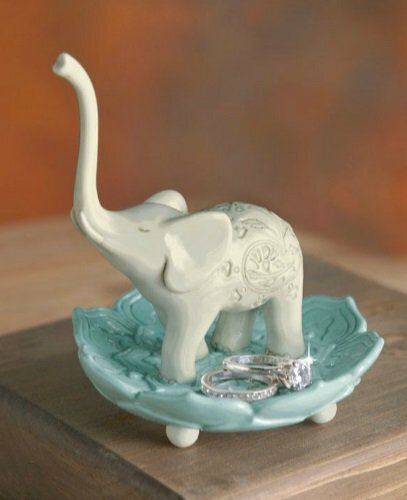 This lovely jewelry ring tray holder is a truly beautiful, one of a kind and special way of exhibiting all kinds of pieces of jewelry and you will definitely be very pleased with its job! 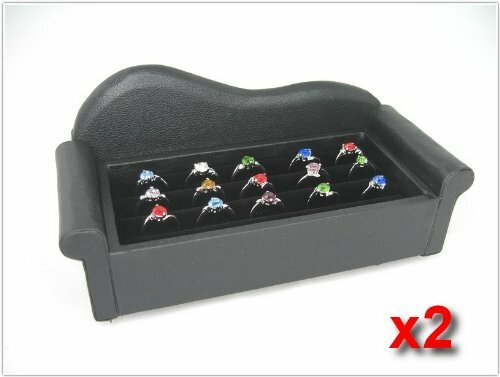 The dimensions of this jewelry crystal ring holder are the following: 3.7 x 3.6 x 2.6 inches and its weight is 9.6 ounces.